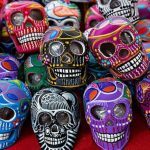 43 Interesting Facts About The Kumbh Mela | OhFact! 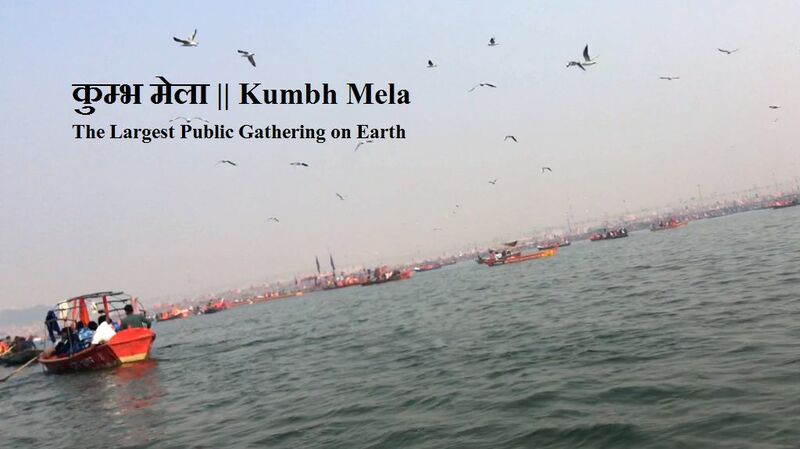 The Kumbh Mela is the largest public gathering and collective act of faith, anywhere in the world. 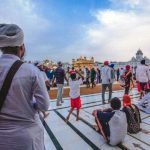 The Mela draws tens of millions of pilgrims over the course of approximately 50 days. The Kumbh Mela derives its origin from a legend; describing a war between gods and demons over possession of the elixir of life. 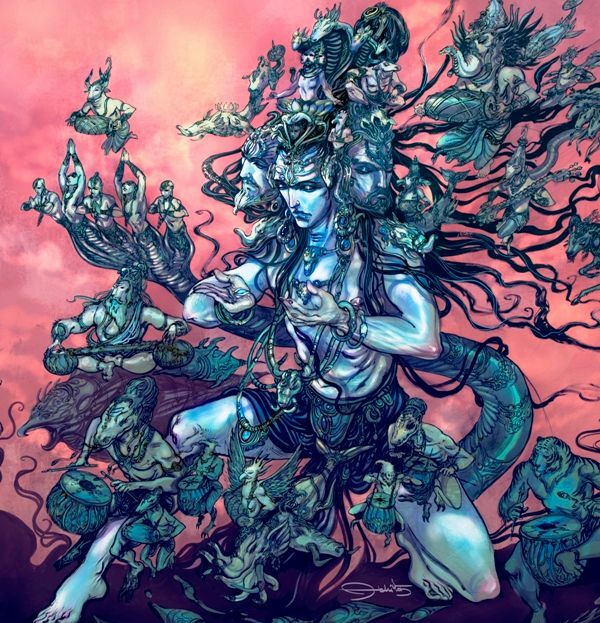 According to the legend of Samudra Manthan (churning of the milk ocean), the reason behind the battle between gods and demons was the elixir or nectar, which was produced during Samudra Manthan. To prevent the demons from seizing the Amrita (the elixir of eternal life), gods placed it in a Kumbha (a pot). 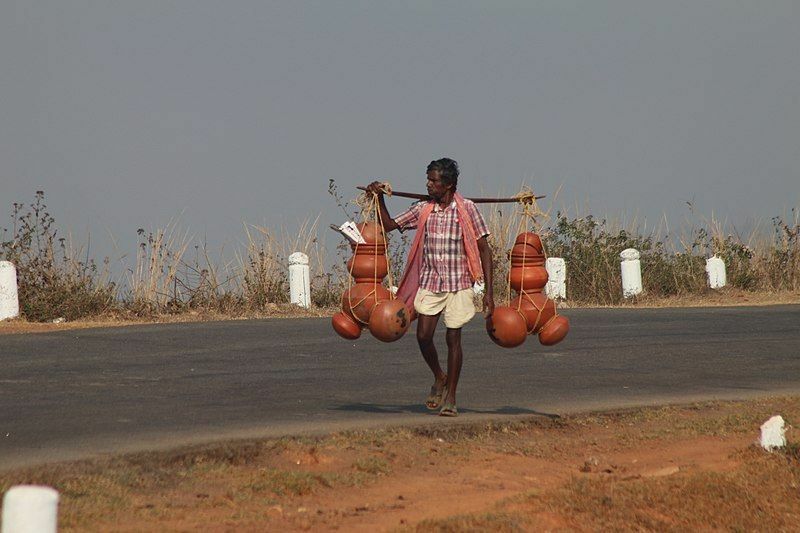 The Kumbh Mela derives its name from this pot of nectar. According to a legend, a divine carrier flew away with Kumbha (the pot of nectar). There are two stories over the divine carrier of Kumbha. According to one story, the carrier of the Kumbha is the divine physician Dhanavantari; while another story says that the carrier is Garuda, Indra or Mohini. The Kumbh Mela spans over four places in India- Haridwar on the Ganges River in Uttarakhand, Ujjain on the Shipra River in Madhya Pradesh, Nashik on the Godavari River in Maharashtra, and Prayagraj (previously known as Allahabad) at the confluence of the Ganges, the Yamuna, and the mythical Sarasvati in Uttar Pradesh. According to one legend, the Kumbh Mela is held at four places; because, when the divine carrier, Garuda, flew away with Kumbha (the pot of nectar), the nectar was spilled over four places- Haridwar, Nashik, Ujjain, and Allahabad (now, Prayagraj). According to another legend, the divine carrier of the Kumbha, Dhanavantari, stopped at four places where the Kumbh Mela is celebrated. 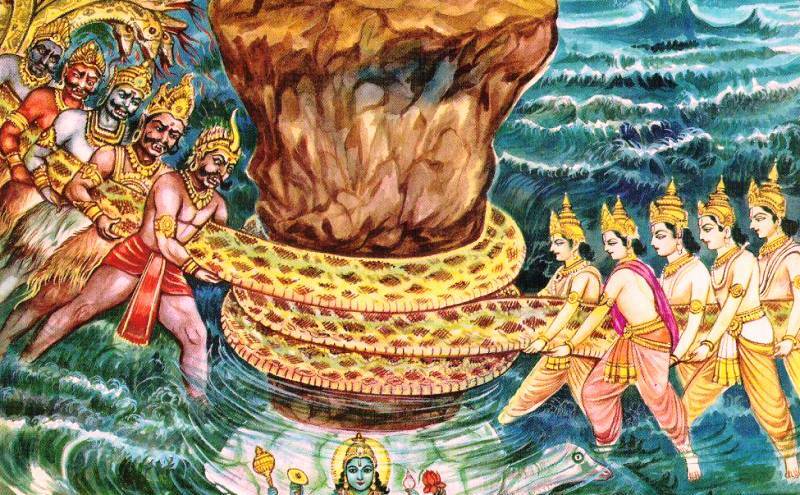 Though the legend of Samudra Manthan is mentioned in several ancient texts, none of them mentions the spilling of Amrita (the elixir of eternal life) at four places. Neither do these texts mention the Kumbh Mela. 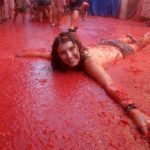 The Kumbh Mela is celebrated four times over a course of 12 years; because the battle between gods and demons went on for twelve days, and twelve days for the gods are equivalent to 12 years for humans. Though it’s uncertain when the river-side Mela (festivals) came to be called the Kumbh Mela, the earliest mention of any type of Mela to be held at the current location of the Kumbh Mela is by Xuanzang (Hiuen Tsang, a 7th century Chinese Buddhist Monk, scholar, and traveler) in 644 CE. 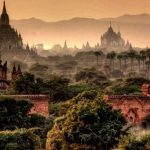 According to several ancient Indian texts, the Magh Fair at Allahabad (now, Prayagraj) might be the oldest fair; although it was not called the Kumbh Mela at those time. The fair at Haridwar is considered to be the original Kumbh Mela, which is held according to the astrological sign “Kumbha” (Aquarius). With the passage of time, fairs at the other three places, i.e., Nashik, Ujjain, and Prayagraj, were renamed as Kumbh Mela. The first official document to mention the earliest start of the Kumbh Mela is by the 7th-century Chinese traveler Hiuen Tsang. 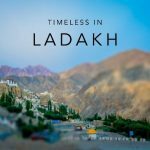 He mentioned that it was the Emperor Harshavardhana or Harsha who first started a Kumbh-like fair where half a million people had gathered at Prayag to bathe in the rivers. Well, during the reign of the Emperor Harshavardhana, the area where the Kumbh Mela used to be held was known as Po-lo-ye-kia. 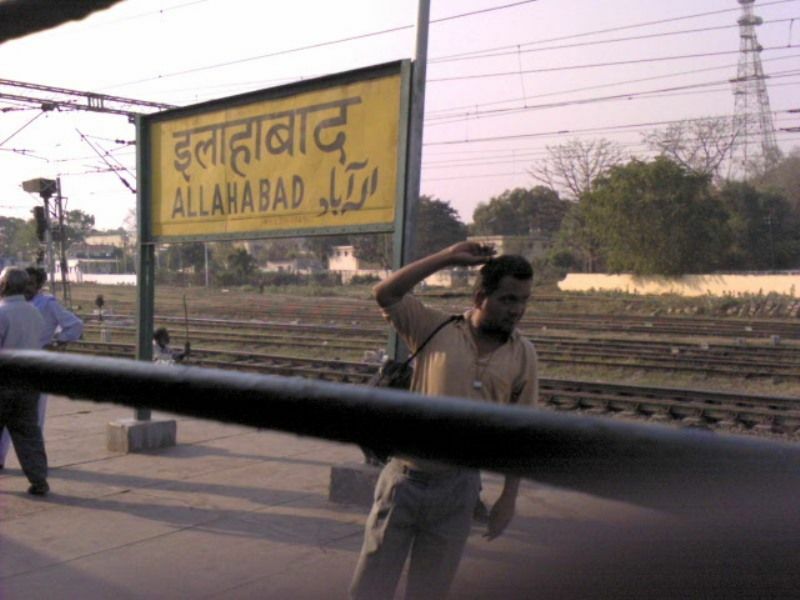 Later, it was renamed as Allahabad, which was again renamed as Prayagraj in 2018. 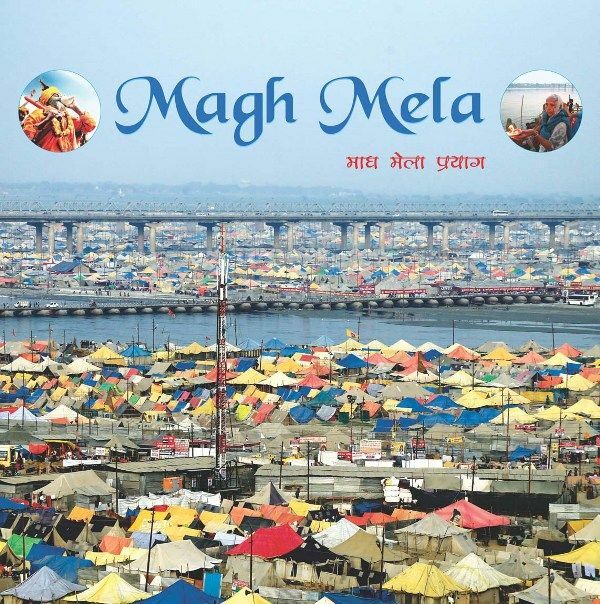 Although the Magh Mela of Allahabad has been mentioned in several Puranas, its association with the Kumbha myth is relatively recent. 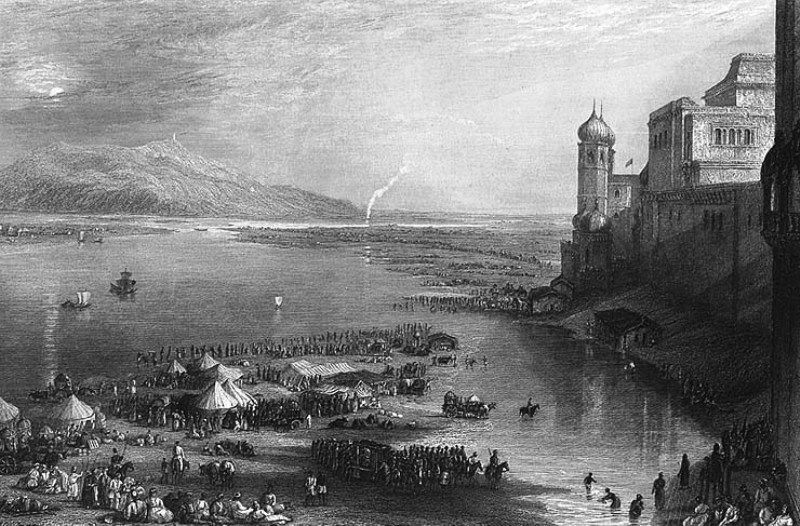 The first British reference of the Kumbh Mela in Allahabad occurs in a report of 1868, which mentions the “Coomb Fair” to be held in January 1870. It’s believed that the Brahmin priests of Allahabad adapted the annual Magh Mela to Kumbh legend to increase the significance of Prayagraj. Well, the rule doesn’t apply to you if you go on living for more than 144 years; as the Maha Kumbh occurs after 12 Purna Kumbh Melas i.e. every 144 years. So, a person may witness the Maha Kumbh Mela only once in his/her lifetime. 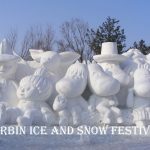 Besides the Maha Kumbh and Kumbh Melas, there is another fair called the Ardh Kumbh Mela, which takes place at Allahabad and Haridwar; every 6 years between the two Purna Kumbh Melas. The most interesting feature of the Kumbh Melas is various Akharas. An Akhara is a congregation of armed saints. These Akharas were evolved after the brutal treatment of Hindus by the Muslim Rulers. Some sources claim that it was Adi Shankara who developed the culture of Akharas at Allahabad in the 8th century. Since the start of the Akhara culture, the armed saints of various Akharas have been fighting over their supremacy. Earlier, there were only four main Akharas, but due to the ideological differences, later these Akharas were divided into 13 main Akharas; mainly of Shaiv, Vaishnav, and Udasin sects. Often the news of a feud between the Akharas makes headlines. 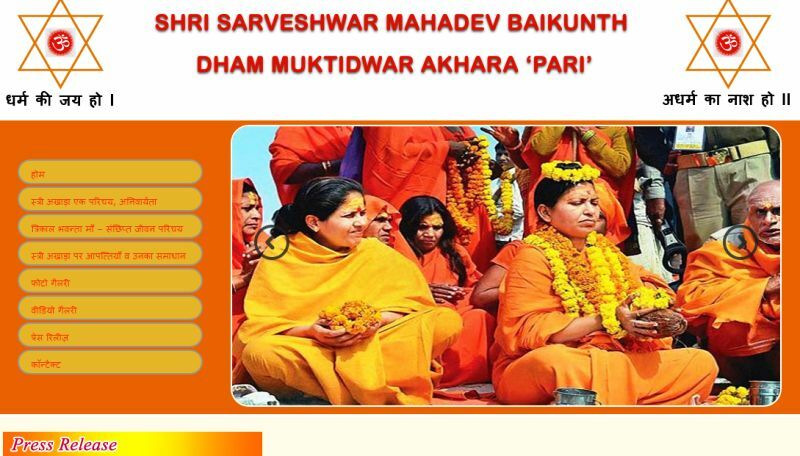 All Akharas invite women saints to get trained as Sadhvis (women saints) except the Avahan Akhara, which doesn’t allow women into their Akhara. However, in 2013, a separate Akhara for women was born called Pari Akhara. 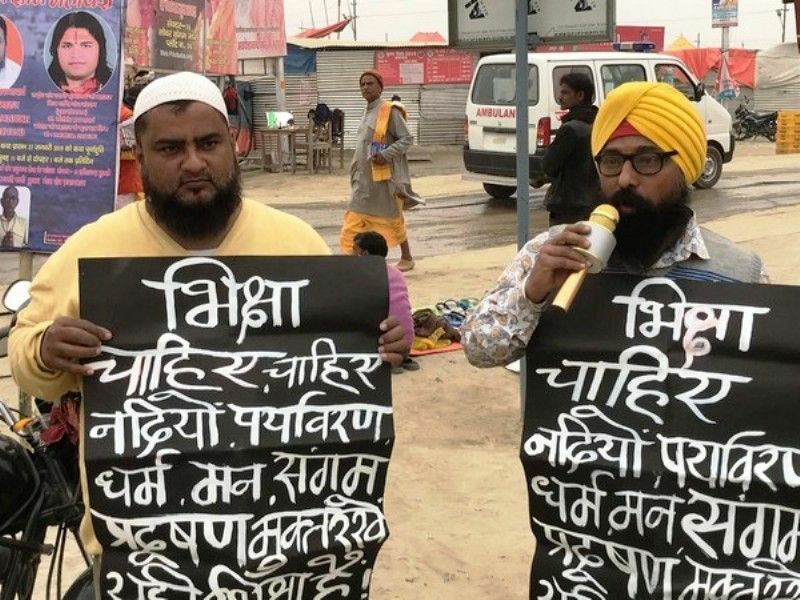 In the 2109 Prayagraj Kumbh, a separate Akhara for “Kinnars” (transgenders) was included for the first time. Niranjani Akhara is considered the most educated Akhara, and it has more than 50 Mahamandleshwaras. 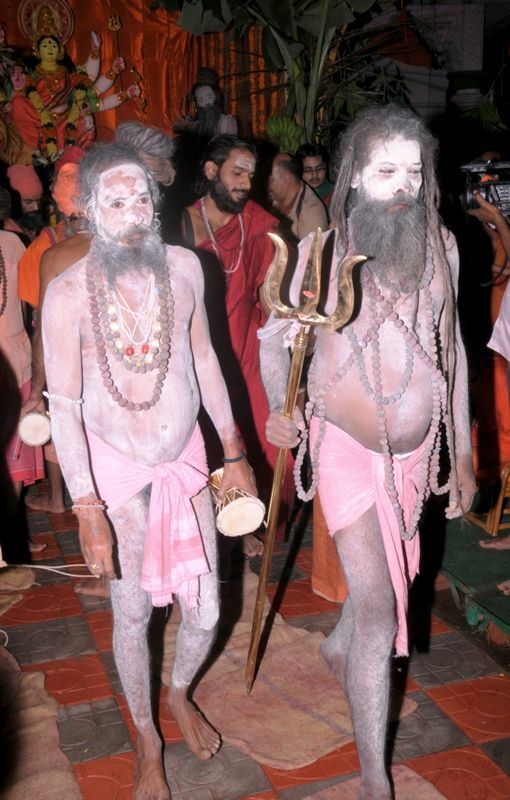 Most of the Naga Sadhus of various Akharas have been typecast as chain smokers. However, Nirmal Akhara doesn’t give permission to smoke. It’s the only Akhara where you wouldn’t spot any saint smoking. A British civil servant, Robert Montgomery Martin, described in his book about the 1858 Haridwar Kumbh Mela that the visitors from many races and religions including the Persian people, Sikhs, Muslims, and Christians also preached at the Mela. Earlier, the cholera outbreaks and pandemics were normal in India, and the Kumbh Melas played a significant role in the spread of cholera outbreaks and pandemics. The Kumbh Melas have always been prone to stampedes. Since the start of the Kumbh Melas, several Kumbh Mela stampedes have made headlines including the deadliest stampede of the 1954 Allahabad Kumbh Mela, which left 800 people dead, and the 1820 Haridwar Kumbh Mela, which left 485 people dead. Since the inception of the Kumbh Melas, every Kumbh Mela has witnessed a rise in attendance and scale from the previous Mela. With more than 120 million people in attendance, the 2013 Kumbh Mela at Allahabad witnessed the greatest number of public gathering ever on earth. 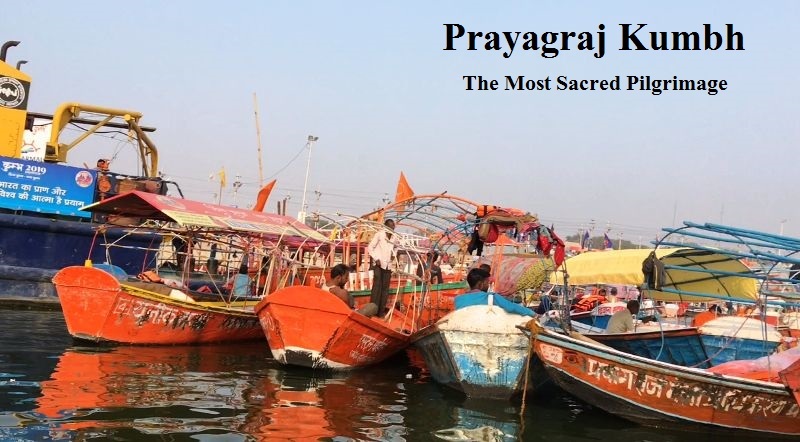 Although the Kumbh Mela takes place at four places- Prayag, Haridwar, Nashik, and Ujjain; the Prayagraj Kumbh Mela is considered the highest among all pilgrimages in Hinduism; as Prayag is the only confluence of 3 holiest rivers (Ganga, Yamuna, and Saraswati). The confluence of these three rivers is called Sangam or Triveni. 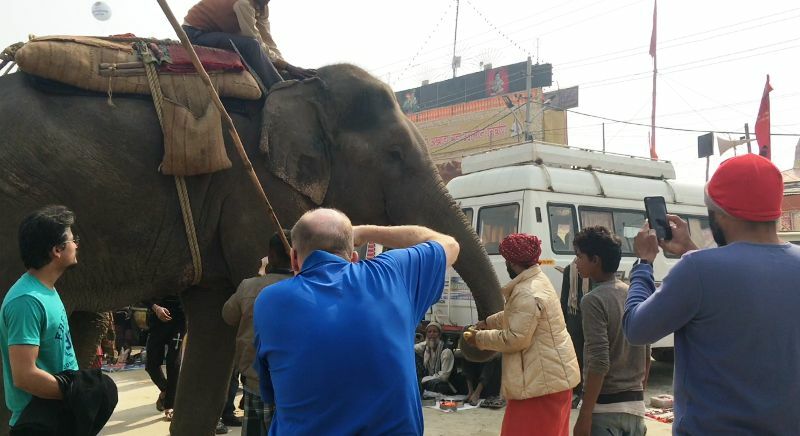 The arrival of the members of an akhara, or sect of sadhus, at the Maha Kumbh Mela venue is called the “Peshwai Procession.” Sadhus of various Akharas arrive at the Mela venue; sitting on gold and silver thrones atop elephants, on horse-driven chariots, and some on foot. 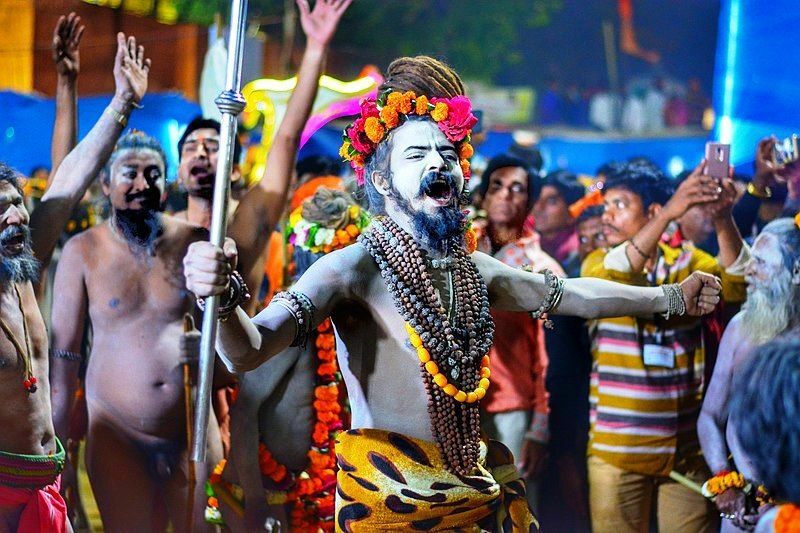 The ash-smeared Naga Sadhus; blindly swinging gleaming swords, silver staffs, and fiery Trishuls, always remain the center of attraction at the Kumbh Mela. 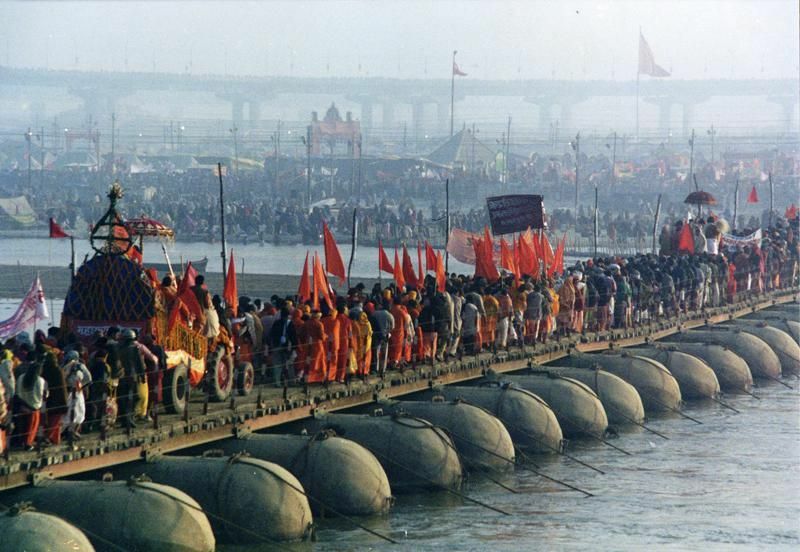 The royal processions of the akharas are regarded as landmark events at the Kumbh Mela. The major ritual at the Kumbh Mela is bathing at the banks of the river. 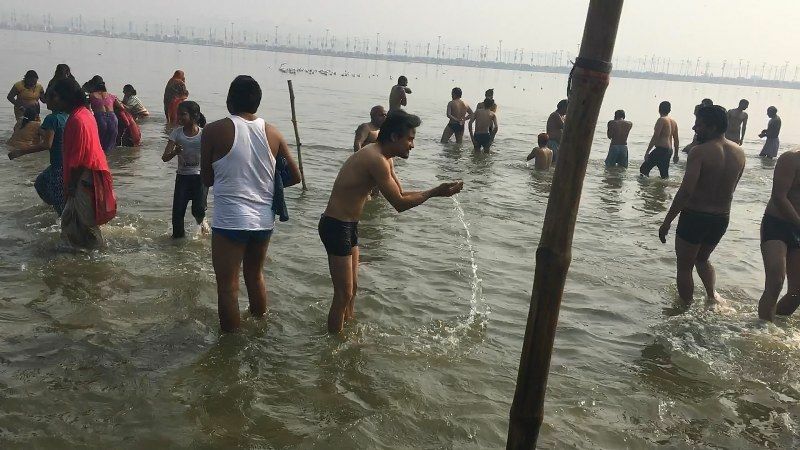 Although all the Kumbh venues are significant, bathing at the Sangam in Prayag, is considered the most sacred one. It’s believed that a dip in the holy water at the Kumbh Mela, washes away all your sins. Kumbh Mela has been extensively featured in several films and documentaries including Inside the Mahakumbh (2013) by the National Geographic Channel, Kumbh Mela: The Greatest Show on Earth (2001) directed by Graham Day, Amrit: Nectar of Immortality (2012) directed by Jonas Scheu and Philipp Eyer, and many more. 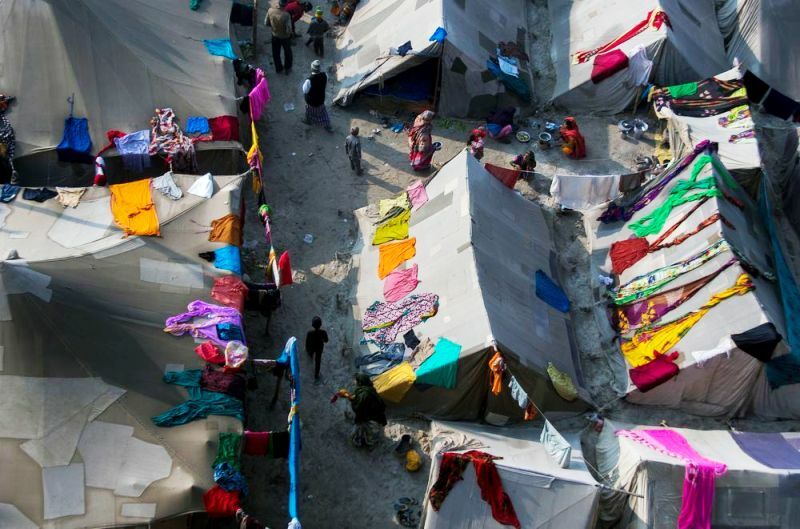 The Kumbh Mela is notorious for being a venue where many people get separated from their family. Young siblings getting separated were once a recurring feature in the Bollywood movies. Almost 10 times a minute, the public address system at the Mela announces about the persons who have been separated from their families. However, modern technologies including cell phones and CCTVs are coming to the rescue of the lost ones. There is a specific astrological calculation behind every Kumbh Melas. 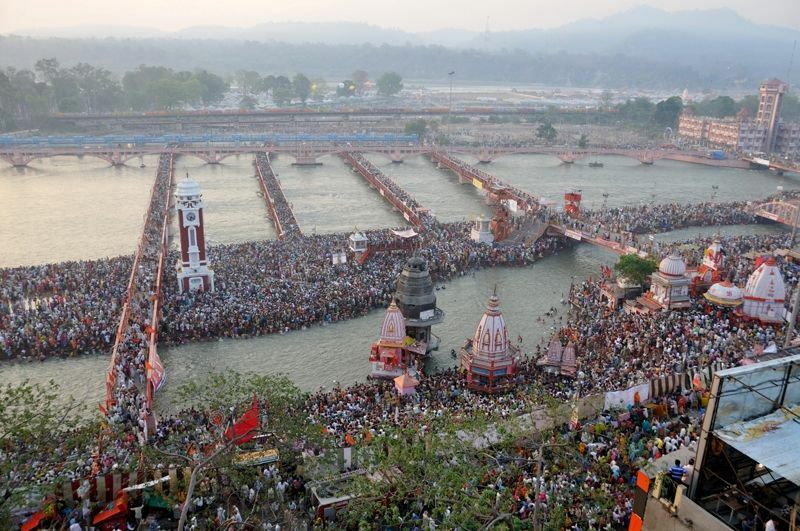 When Jupiter enters the Aquarius constellation and the Sun moved into the Aries constellation, the Kumbh Mela is held at Haridwar. When Jupiter moves into Leo, it’s Nashik Kumbh Mela. 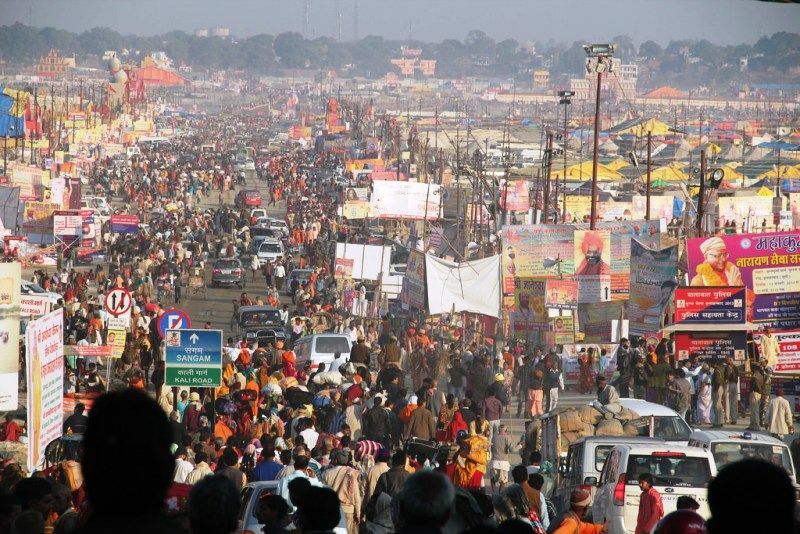 When Jupiter moves into Leo, along with the Sun moving into the Aries constellation, it’s Ujjain Kumbh Mela. When the Sun enters the Capricorn and Jupiter moves into Taurus, the Kumbh Mela is held at Prayagraj. During the Kumbh Mela, the ritual of Aarti is one of the most popular attractions. The gleaming procession of Aartis on the riverbanks is attended by millions of people on special festive days. 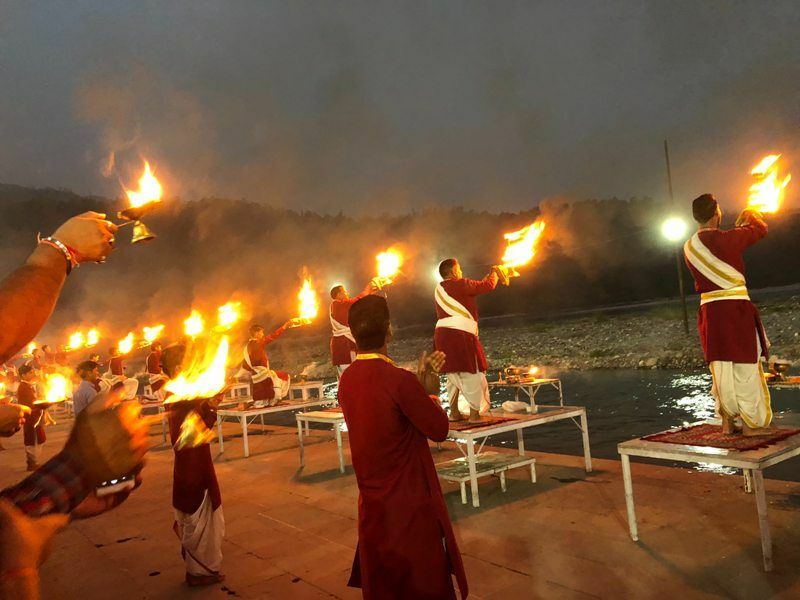 The lamps held by the priests, who chant hymns with great fervor, represent the importance of Panchtatva (the five elements of nature i.e., Bhumi (earth), Jal (water), Vayu (air), Agni (fire), and Aakash (space)). During the procession of Aarti on the riverbanks, all these five elements are supposed to be present at one place. 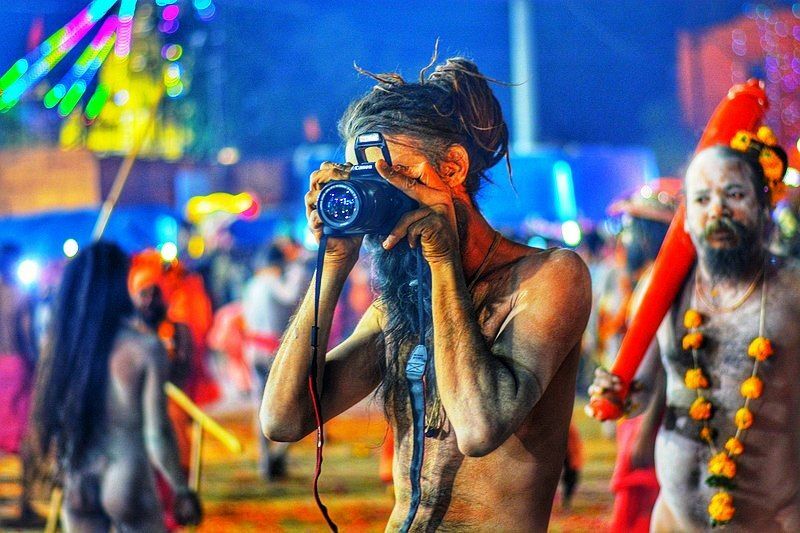 Naga Sadhus always remain the frontrunner when it comes to the most interesting attractions of the Kumbh Mela. Naga Sadhus are those who have relinquished all the material pleasures and have adapted to the astute ascetic life. These Naga Sadhus do not wear any clothes and remain completely naked even during the severe winters. Reportedly, many highly educated persons from engineering to management studies are relinquishing the material world to become a Naga Sadhu. 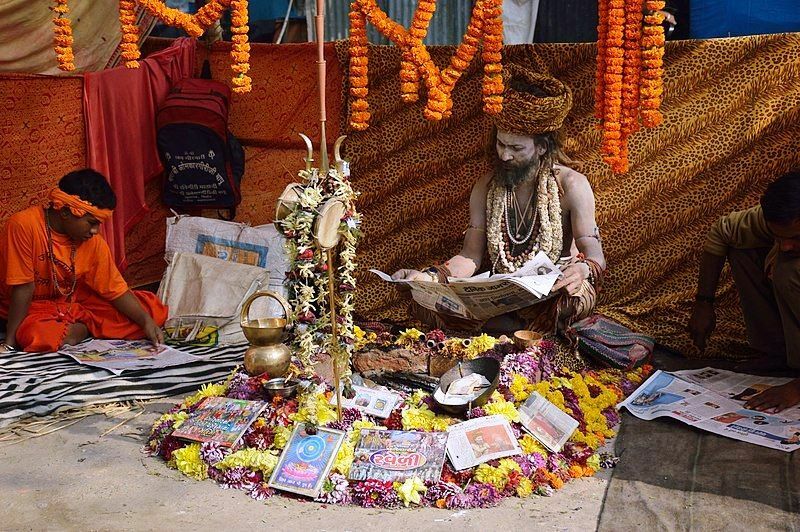 In recent times, Naga Sadhus have been spotted using smartphones and other gazettes. They can often be spotted using WhatsApp, Facebook, and taking selfies. One can only become a Naga Sadhu during the Kumbh Melas. The ritual for new members takes place during every Kumbh Mela. Thousands of people of different age groups attend the Kumbh Mela to take the Diksha to become Naga Sadhus. 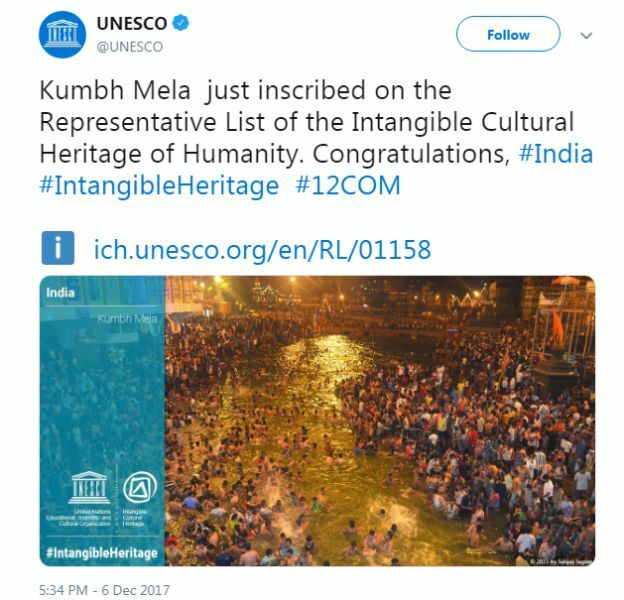 Being the most sacred pilgrimage of Hinduism, and the venue of the highest social gathering on earth, the Kumbh Mela was inscribed on UNESCO’s “Intangible Cultural Heritage of Humanity” list in 2017. Besides witnessing the largest public gathering on earth, the Triveni Sangam in Prayag also attracts thousands of migratory birds- the Siberian Gulls. These birds cover thousands of kilometers all the way from Siberia via Afghanistan, Mongolia and Tibet crossing high Himalayan mountains. These migratory birds start arriving here in October and fly back by the end of March. 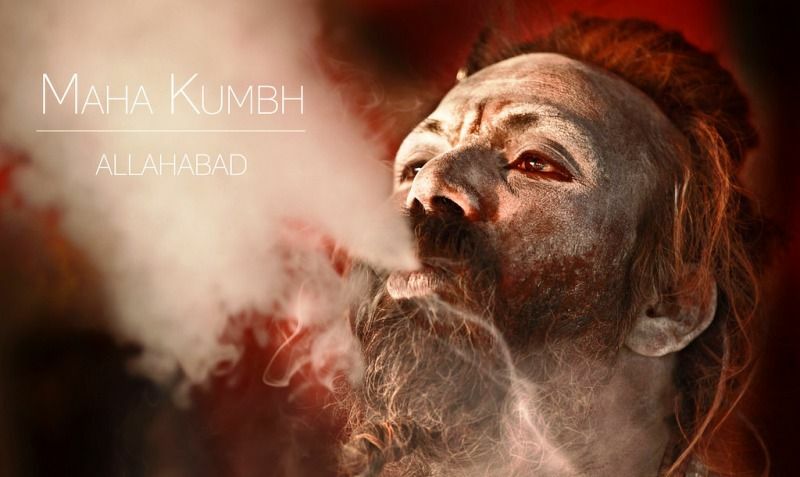 With the evolution of the Kumbh Mela, many Naga Sadhus have turned into money-makers; as one would get blessings by them only after offering them some money.